Flowers and polka dots are always in fashion, the trend never gets old. 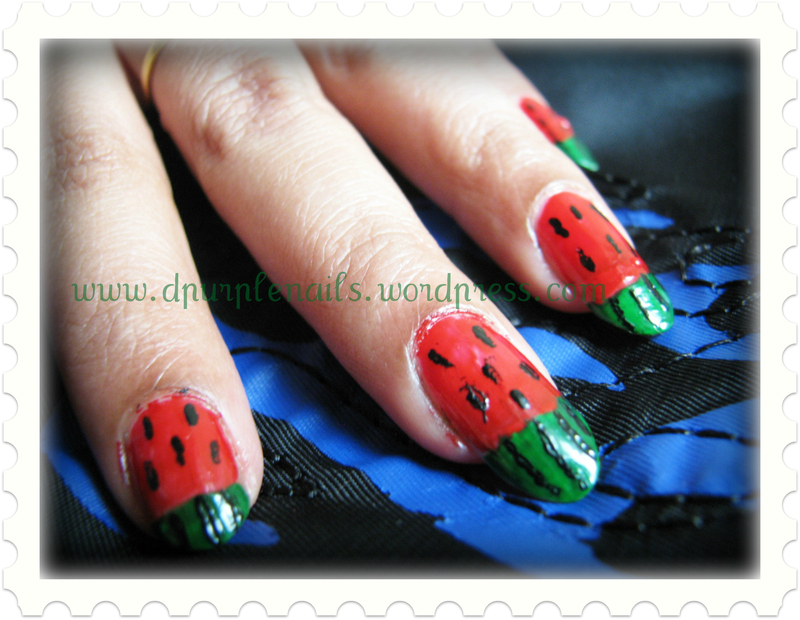 I found a perfect summer design to go with your polka doted or floral printed dress. I used blue color as background you can choose the background color according your dress. First paint your nails with blue or any color of your choice, let it dry. Now take a dotting tool or tooth pick and create polka dot deigns on nails except the second and the ring finger. 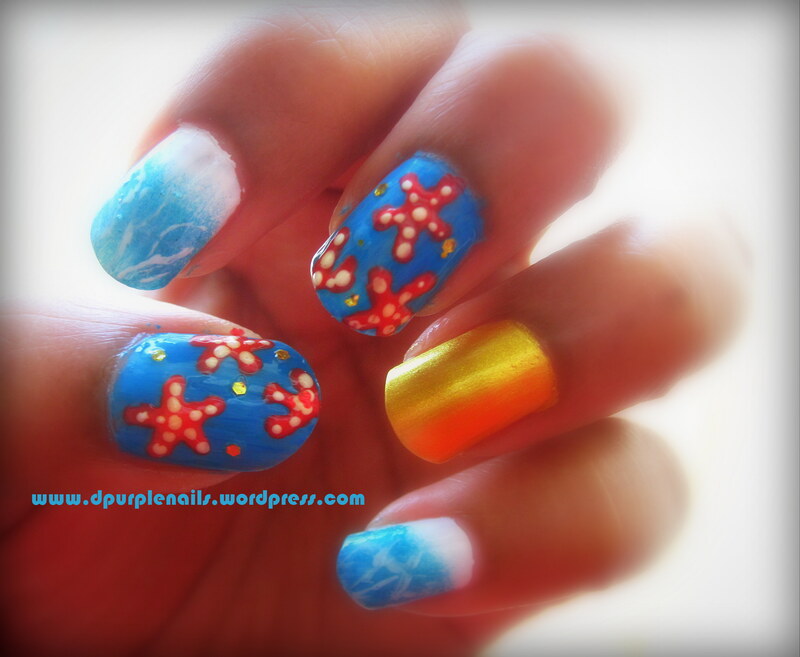 Now on those two finger draw flowers using white polish and add a yellow dot in the middle of the flower. 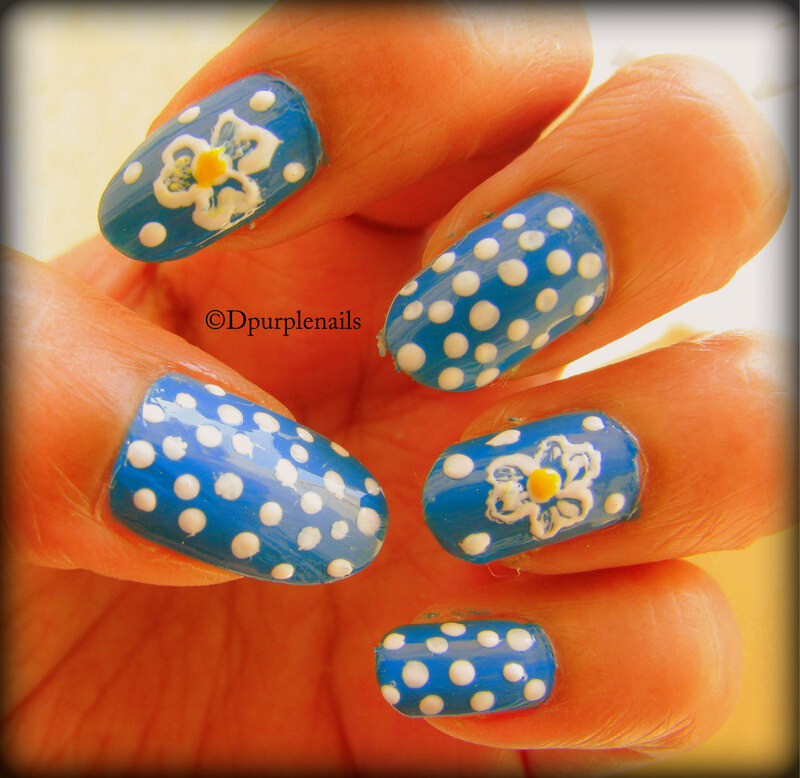 Seal in your design with top coat and your flowers and polka doted nails are ready. 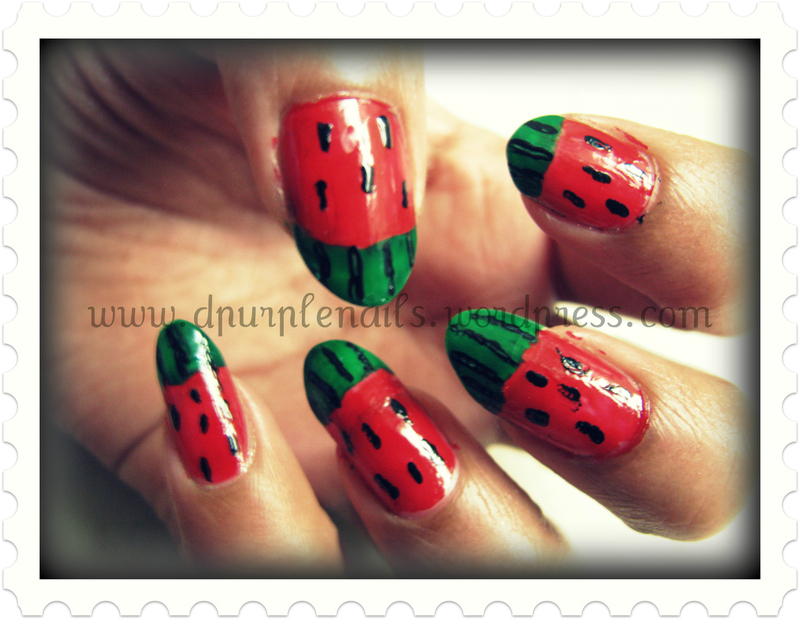 This is summer special Water melon manicure. 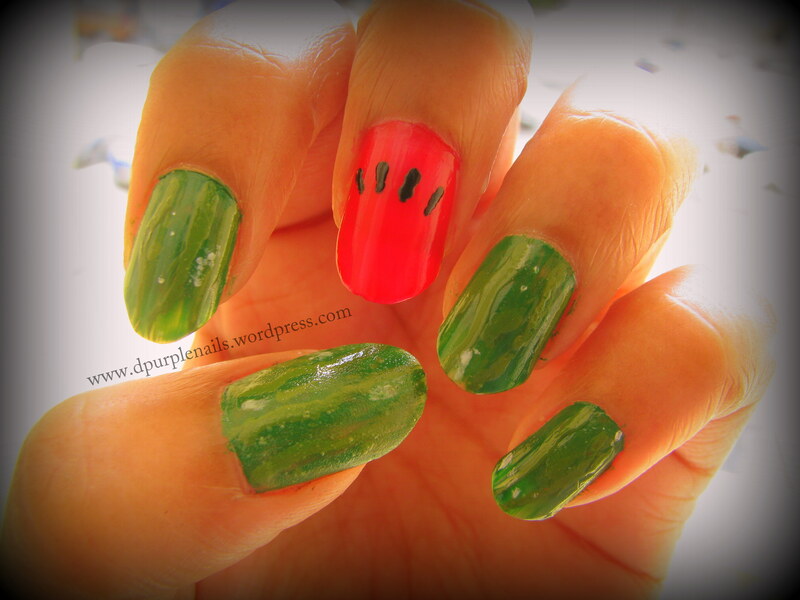 This season we can see water melon everywhere, its suitable fruit for summer. Tastes good and has plenty of water. I got this one when I was searching some old nail snaps. 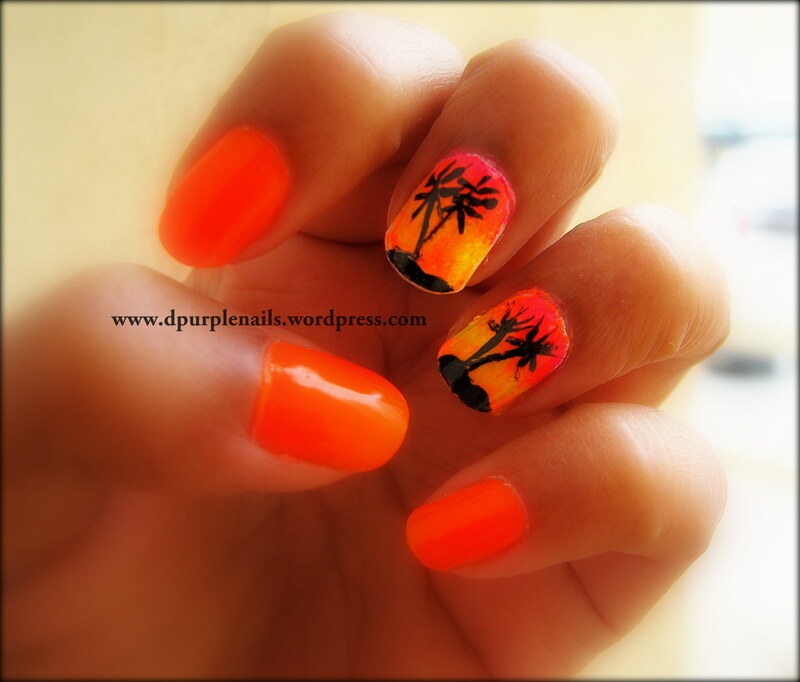 Its 5 months old manicure form last summer. 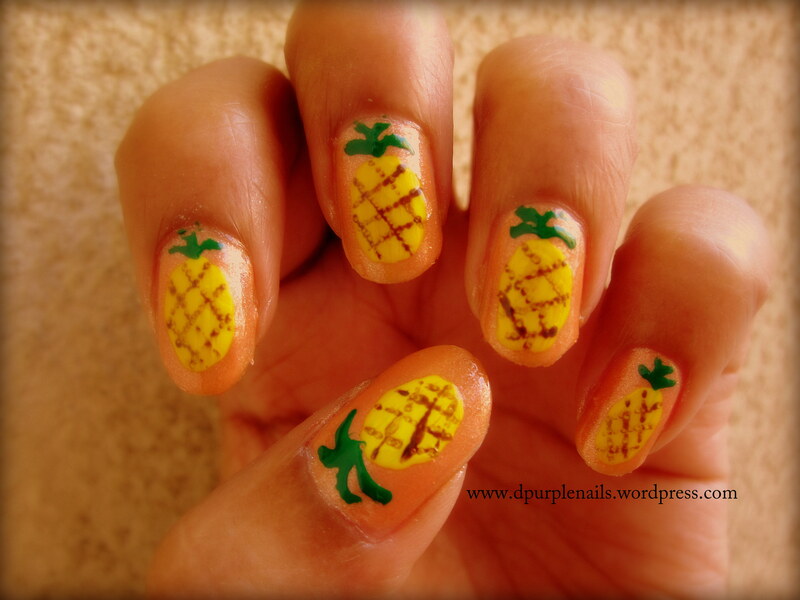 My nails were not properly shaped when I did this nail art. It looks kinda messy. I used red and green color from ‘Enchant’, and used black color to draw seeds and lines . 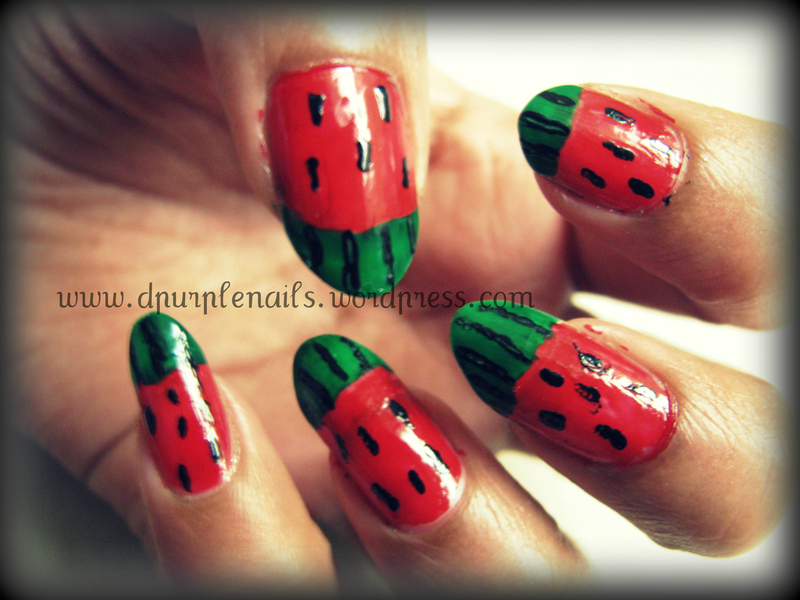 I kept looking my nails and felt like eating watermelon when I had this design on.